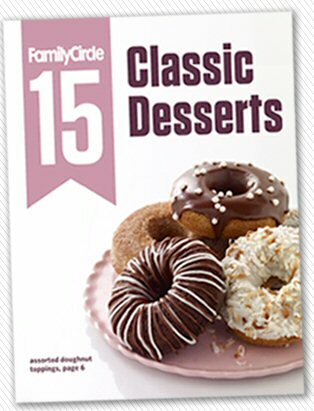 Head on over to Family Circle on facebook and like them to score a free download of 15 Classic Desserts. If you like to try new things you will love this book. 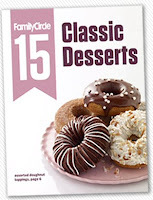 Click here to like Family Circle on facebook and download your free 15 Classic Desserts Cookbook. There are so many yummy treats in here and a handful that I want to try myself. Those Donuts would go great with my morning coffee that I am having right now.